Late August lament for the loss of summertime. The rapid fade into autumn. There’s dew on my windshield in the morning, and a slight chill in the air at dusk. Swimsuits become sweatshirts. Sandals become shoes. On the roads, there’s more traffic. School’s in session, but I’m not ready to accept it. Here’s a weird piece I found from 1992, something from the Tustin News about graduation day, just a long list of students, including myself, Nicholas Gustavson, and the various programs etc. Amazing to see some database is keeping these old newspapers around. I found out the Tustin News was purchased by OC Register back in 1995, and folded into the paper sometime after that as a local insert. It’s still alive though! Looks like there’s a new TV Series called “Godless” coming out in 2017, described as a Western set in the 1880s. The script is apparently secret, but there’s a character named “Nicholas Gustavson” played by Shawn-Caulin Young, who will appear in two episodes. Nicholas Gustavson, if you remember, is my famous namesake. Back on September7, 1876, he was a recent Swedish immigrant who was gunned down by the Jesse James’ outfit, the James-Younger Gang during a bank robbery in Northfield, Minnesota. If you haven’t read it yet, you can still check out new new story “Naughty Maggie” in the Easy Reader. Pleased to see “Naughty Maggie” earned an honorable mention in this year’s Easy Reader Writing Contest. The contest usually receives entries with a geographical focus on the South Bay, a region of Los Angeles that includes the southern shore of the Santa Monica Bay. The South Bay boasts several sun-kissed beach cities including El Segundo, Manhattan Beach, Hermosa Beach, and Redondo Beach, as well as near-coastal inland cities like Hawthorne, Torrance, and Lomita. Well, Torrance includes a sliver of beach, so let’s call it a coastal town too. The winning contest entry was an excellent non-fiction piece about a Greek immigrant growing up in the South Bay in the 1950s, written by Spiros (Steve) H. Mikelatos, M.D..
My short story Naughty Maggie addresses nostalgia, crime, and bar culture in a tiny beach community known as El Porto, bounded by the El Segundo oil refinery to the north, and fancier Manhattan Beach to the south. Although El Porto is arrayed with expensive beach homes, there’s a large encampment of twenty-something renters who lease rooms or units for a few years before moving on to more permanent digs, or a more responsible lifestyle that doesn’t include Monday Night Football, Taco Tuesdays, Big Wednesdays, “start the weekend early” Thursdays, Friday nights out, daytime Saturday bike bar crawls, Saturday nights at the pier, Sunday champagne brunches, anything back shelf, top shelf, lower pantry that pours into a cup on Sunday night before dawn, before the work week arrives. And when that morning alarm clock screeches, take heart, my lovelies–there’s only a few hours of corporate pain before happy hour. I wanted to explore shared memories of El Porto’s saltwater stretch of Highland Avenue, and take possession once again of its crumbling haunts with sandy bar tops before the backed-up urinals and sawdust floors disappear, remodeled into commercial bliss. I don’t know if I succeeded, with a rigid 2000 word page count, but “Naughty Maggie” was darn fun to write. Reading away this summer at the beach with the kids. My son likes to read the local paper, Easy Reader, keeping up on local events. He also loves eating sand. Super excited to get an acceptance letter from Effervescent Magazine. The issue comes out August 25th and theme is “Tempestuous.” Looking forward to reading about those summer storms, first loves and firecrackers. I used to write late at night or early in the morning, but I’ve exhausted the reserves of energy needed for those writing sessions, depleted by the demands of managing their childhood. Actually I don’t even manage it, my wife does that. I’m more an assistant coach, or even a coach’s assistant. I find it exhausting. How did Dickens raise ten children and produce so much content ?According to this book, it appears the children suffered for it. Is it possible to provide for a quality childhood, and keep writing? The other day I received two copies of Writer’s Digest March/April 2016 issue and find my contest contribution to Your Story printed in there. So great to finally see my little entry about Montauk Ranch in print. Thanks to Writer’s Digest for running these monthly contests, as it’s a great way for an emerging writer to get some exposure. I recently started using Flickr again, which i guess used to be Yahoo pictures. Found some old pictures from my European Backpacker trip back in 2001. I had uploaded these in Europe i believe, from an internet cafe at 10p per minute. How did I do that? I also finally scanned those disposable camera pictures i took at the Pink Parade in Berlin in 2001 and I have uploaded those as well. What a crazy day that was. Parades, DJs, and Bratwursts. Also I recently paid a visit to visit to Manhattan Fine Wines and bought some bottles for Valentines Day. I haven’t been inside the store since my wine tasting class days back in 1999, this is the place my wine tasting teacher told us to buy wines and he used to call it “Nick’s” after the owner at the time. Since it’s my namesake, I should have gone there more often. But this is the inspiration for my short story “Tasting Class” which won the grand prize last summer in the Easy Reader Writing Contest. I still don’t know much about wine, but its fun to poke around and read the labels and wonder if you have enough cash to buy one bottle. Thank you to everyone who voted for my entry in the recent Writer’s Digest Fiction Contest, Your Story #69. My entry, which I call “Montauk Ranch” finished third, beating out some tough competition. Congratulations to the winner for an inventive entry charged with adultery and murder. The contest results I believe will be published in March 2016 edition of Writer’s Digest. Thanks again to Writer’s Digest and Baihley Grandison for the opportunity. You can read all the selections here Writer’s Digest Your Story Contest #69. I’m pleased to announce my entry “Montauk Ranch” is a finalist in the latest Writer’s Digest Your Story Contest. The contest is looking for the best opening sentence to a story based on this photo. Please help me out by voting for my entry, either by clicking here and leaving a comment, or emailing “Entry H” to YourStoryContest@fwcommunity.com with “Your Story 69 Vote” in the subject line. To be fair, please read all the entries. I am up against some tough competition. If you prefer another entry, go ahead and vote for it. I’m impressed by the body count in these entries. Lots of murder, death, adultery, theft and prison going on here. Hard at work on some new projects with deadlines. 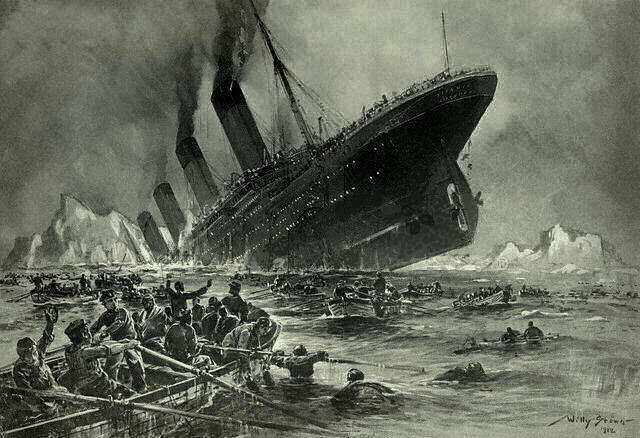 Trimming stories to get under word count feels like tossing Titanic passengers out of a lifeboat. My lovelies! I hate watching you sink. I typed you into life and then I deleted you. I’m proud to announce that my short story “Tasting Class” won the Grand Prize in the Easy Reader News 45th Anniversary Writing Contest. It’s a story about wine tasting and murder in the South Bay (Santa Monica Bay, that is) I found the wealthy Los Angeles beach community to be an awesome setting for a story about wine tasting, aging, and what it takes to preserve the past.